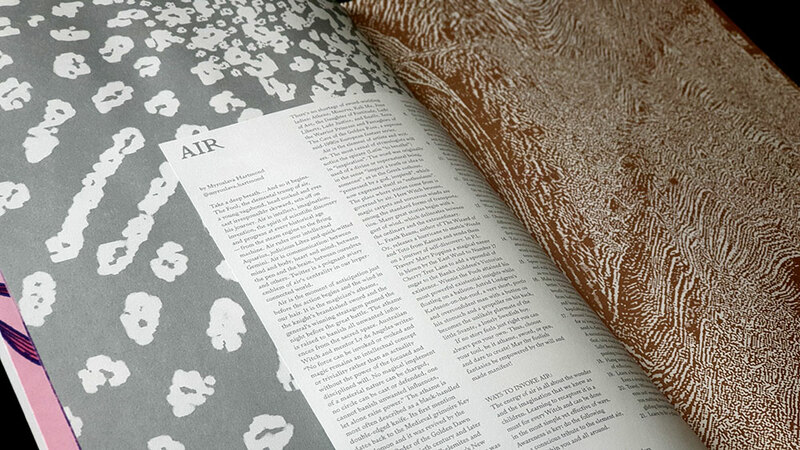 Sabat is a magazine irregularly published by creative director and editor Elisabeth Krohn. We’ve chosen to review two issues because the latest is a slightly atypical, harder to parse, volume that could be summarised in one or two paragraphs, whereas the previous issue from 2017 is a weightier work worthy of its own singular review. 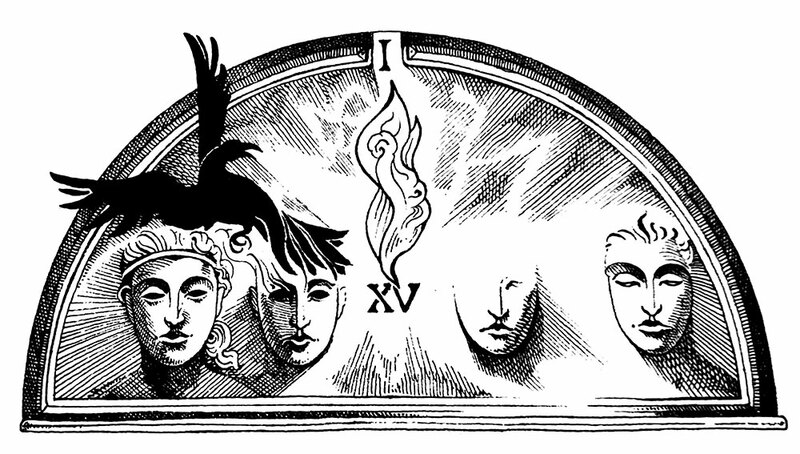 The third volume of Sabat is referred to as the crone issue, and brings a natural end to the sequence of maiden and mother showcased in the previous two issues. 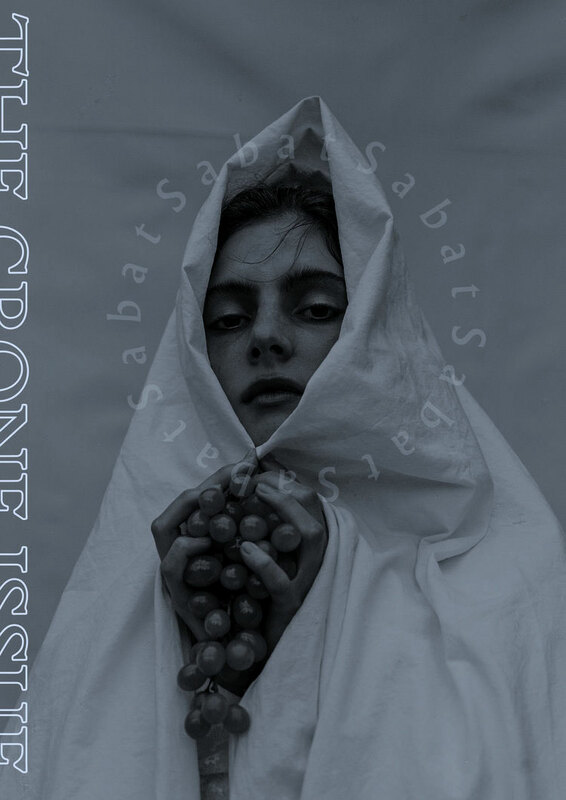 This theme of the crone has a variety of interpretations, due to the substantial list of contributors across its 160 pages, with thirteen writers, twenty-two photographers and twelve artists. In matters of writing, standouts include contributions from Myroslava Hartmond, Pam Grossman, Sonya Vatomsky, and Gabriela Herstik. Hartmond gives a brief account of the 1960s radical feminist group W.I.T.C.H. 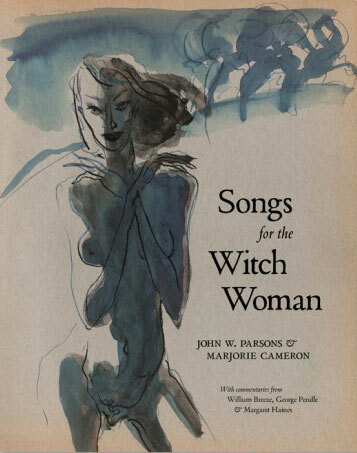 (an abbreviation of Women’s International Terrorist Conspiracy from Hell, a name you can believe in) and their intersection between actual witches in a symbolic and to a lesser extent, theoretical sense; with the group’s manifesto describing witches as the “original guerrillas and resistance fighters against oppression.” Meanwhile, Grossman provides the most immediate discussion here of the crone in a broad mythological sense, identifying various figures who have appeared as crones from classical myth to Margaret Hamilton as the cinematic Wicked Witch of the West. In a delightful feint, she begins discussing Hekate (a figure not classically depicted as a crone, a popular modern pagan misconception), only to acknowledge this and suggest that this perceptual evolution of maiden to crone is as valid as anything set in the slip of myth. As a focus on one particular crone, Vatomsky decodes the Slavic figure of Baba Yaga, depicting her as a figure of great power and agency, and arguing that characteristics such as these and others have been lost in her translation into the West. For that touch of pop culture, Herstik considers the women of the Addams family (Wednesday, Morticia and the supremely crone-ish Grandmama) as expressions of the divine feminine; ably illustrated by Vanessa Reyes in two full page ink drawings. 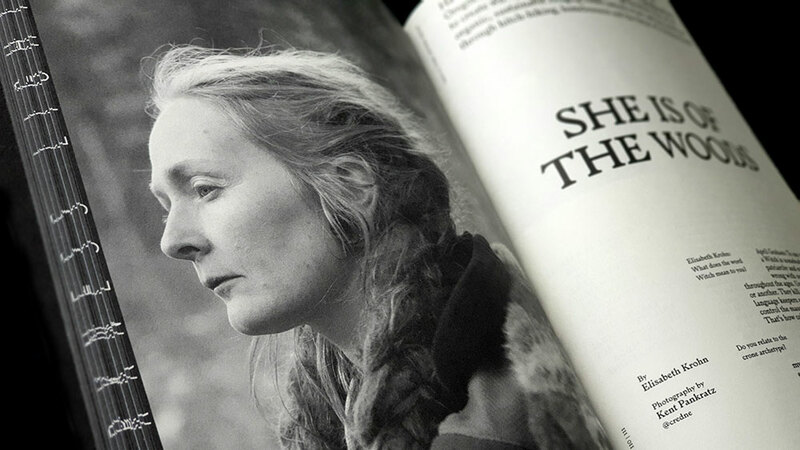 Interviews feature heavily in Sabat #3, with almost all of them beginning with the mantra-like inquiry ‘what does the word Witch mean to you?’ These straddle that divide/intersection of praxis and performance, with some focusing on practitioners (such as queer feminist witch and anti-ageist activist Dulcamara, or Blue Mountains witch April Graham), and others on artists working in jewellery, music and performance art. Sara Gewalt is a jeweller, sculptor and photographer studying, at time of writing, at Konstfack University, who has worked with bands such as Degial and Watain, but is here interviewed with a focus on her Totem necklaces of bone-shaped ceramic. Camille Ducellier is a French multimedia artist with a strong queer and feminist focus, principally working with film and sound. At the time of interview, she was beginning to adapt her sound piece La lune noire (based on the astrological idea of Lilith as a black moon and originally broadcast by France Culture, in 2016) into a full sound installation. Miki Aurora is a Vancouver based performance artist who describes herself as an “artist, filmmaker + occultist designing workings that fuse cyberfeminist theory with chaos practice,” and who uses the modalities of ritual for performance art pieces. 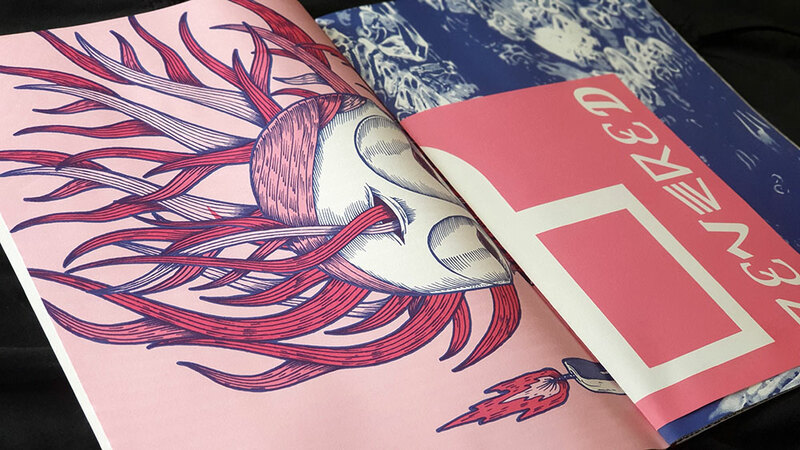 While Norway-born, London-based editor and founder Krohn provides creative direction and clearly has a singular vision, the art direction and its execution falls to designer Cleber Rafael de Campos; half a world away in Brazil for the first two issues, but back in London for the third. It is easy to see why the third issue of Sabat was awarded a silver placing at the 2018 European Design Awards, with its 164 pages that look very, how you say, designery. It’s also very witchy, but not always in the most conventional sense. No rustic gentleness here, no wispy filigree, but also, it must be said, no grim sabbatic tropes, no goats and stangs and other signifiers of Traditional Witchcraft with the capital T and the capital W.
What does dominate, though, is female imagery, with the female form appearing in a variety of situations, some more witchy than others, but always well executed. While there are some male photographers amongst the contributors here, there feels a distinct lack of the male gaze across the imagery. It is the photography that creates some of the most impact here, whether it’s the portraits of featured artists and practitioners, or the little fashion spreads and photographic essays that often seem unannounced and unexplained, and as such, are just effortlessly cool. It’s these that help Sabat feel different, giving it its import and focus, and makes it live up to the association with the #WitchesofInstagram hashtag. Campos has an equally bold and contemporary design style, employing some core layout elements throughout Sabat but also changing things up with format-disrupting injections where necessary. 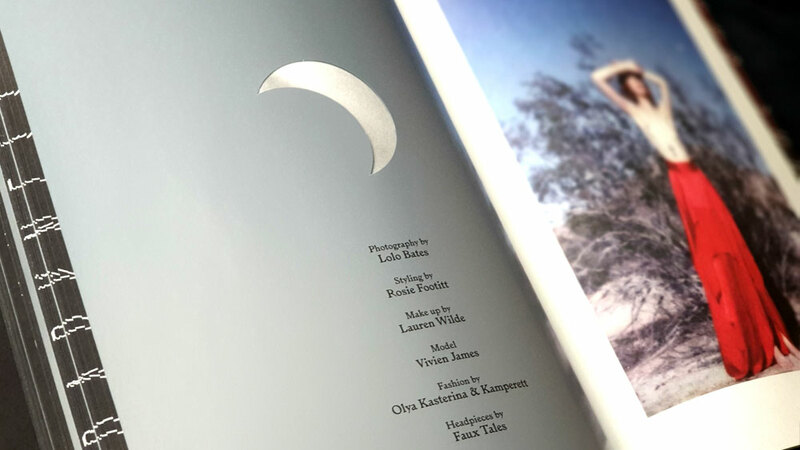 Printed for the most part on a dull matte stock that gives everything just the right touch of gravitas and muted cool, this is broken up with glossy silver title pages featuring die-cut crescents and discs that provide windows backwards and forwards to other pages as the moon moves through its phases, punching holes through the text of the titles. 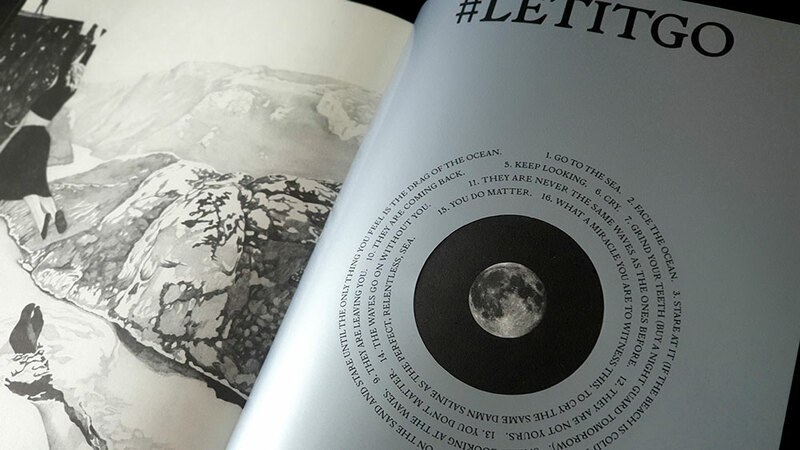 This lunar sojourn reaches its culmination with a full moon, where graphic designer Dario Gracceva takes the typographic reins around the theme of #letitgo for several pages. 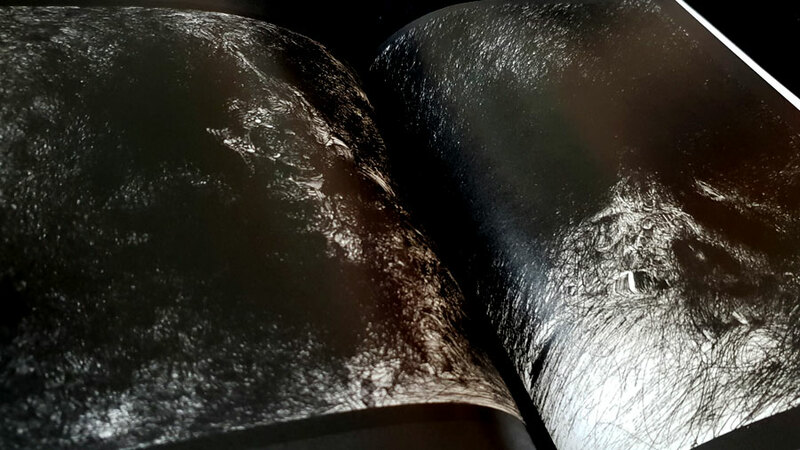 In another case, the same silver pages are left without a lunar die cut, but images from the surrounding photo essay are lightly printed on them, appearing ghostly and making the page itself seem almost translucent. Elsewhere, subtle embossing (or debossing, depending on what side of the leaf you’re looking from) of text over images can be almost missed, but once discovered, enhance the tactile experience of Sabat. With the trilogy of maiden, mother and crone completing with the third issue, the fourth volume of Sabat takes as its theme the elements and uses this as an opportunity to try a significantly different approach to its predecessors. Rather than the dense, perfect bound format of the previous issues, Sabat #4 consists of five large format posters and an unbound booklet of six A3 sheets folded to A4. The posters vary in size from A2 to a folded A1, with the styles feeling more like a work from a design annual, rather than anything overtly witchy. These are presented folded and held together by a string, with the individual A3 leaves of the booklet interspersed throughout. 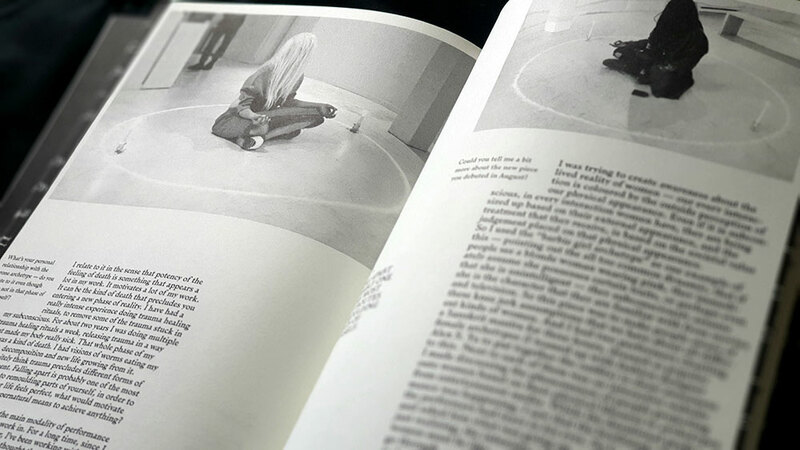 The written content for Sabat #4 takes the form of five one page meditations on each of the elements, delivered by Myroslava Hartmond, Pam Grossman, Sonya Vatomsky, Kristian J. Solle and Sabina Stent; some of whose names will be familiar from previous issues. Given the format, the list of artists for this issue is equally short, and features Nikolai Diekmann, Anne Sophie Ryo, Anniinna Anna Amanda, Elisa Seitzinger, Maria Torres and Ossian Melin. Maybe it shows a lack of imagination on my part, but I’m not sure what to do with it all. Do I disassemble it and try to find wall space to Blu Tack them to amongst a myriad of bookcases? Or, having at least read the written content, do I leave it as a somewhat unsatisfyingly unexplored, hard-to-store art portfolio, with, no matter where it ends up, the corners getting increasingly bent and worn; as is already beginning to happen. At the risk of sounding uncharacteristically plebeian, I just don’t get it, and when both issues cost the same price, I find myself happier holding something with the certainty of 160 beautifully designed, perfect bound pages. Zazen Sounds is both a record label and the name of this small sub-A5 magazine published by Acherontas V.Priest of the similarly named black metal band Acherontas, and the dark ambient project Shibalba. 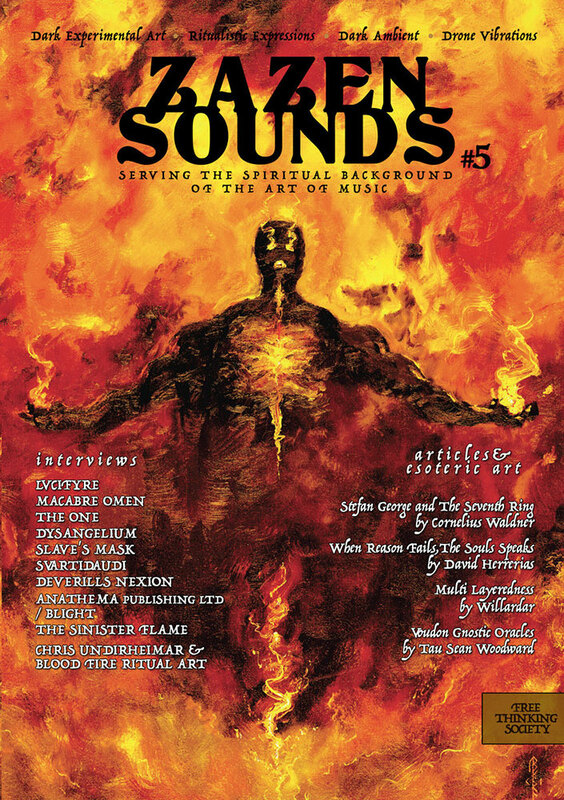 The magazine’s goal appears as a legend beneath the title on the cover, “serving the spiritual background of the art of music” and to this end it combines interviews with predominantly black metal musician and occult artists and publishers, plus a few articles about matters magickal. Being my first encounter with this magazine, the thing that strikes you immediately about this fifth issue of Zazen Sounds is the look, which creates the chronometrically-disorienting feeling of reading a ‘zine from decades ago. While it may not have the physical cut-and-paste construction of yesteryear, there’s a rough and ready quality to the layout that all the digital tools of today haven’t corrected. Things are also really tight, but more about that later. The bands featured in interviews here are an interesting bunch with different styles but some certain commonalities. 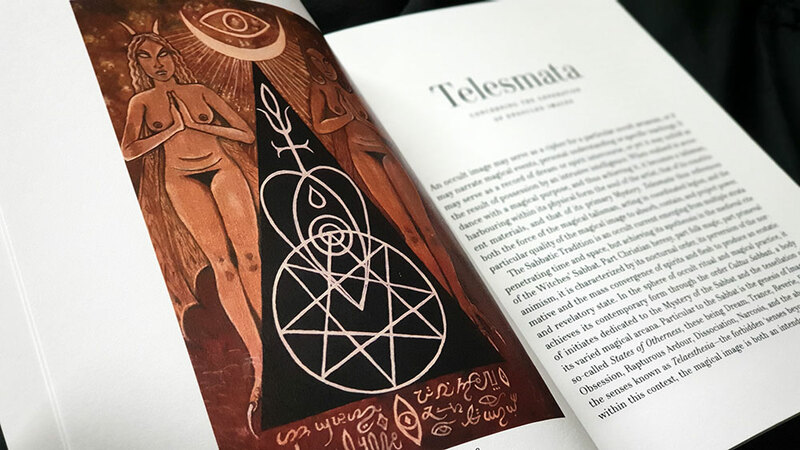 It’s here that the old-zine feel is confirmed, with references to various Satanic and magickal groups known primarily for their time in the early-to-mid nineties, such as the Order of Nine Angle and the Order of the Left Hand Path. Just as some of the black metal aesthetics on display here don’t seem to have moved on much from that period, so these references to older magickal groups feel almost nostalgic for a simpler, and yet more mysterious time. This is affirmed when some of the artists, betraying their age, wax lyrical about the pre-internet days of tape trading and the returning of stamps, while lamenting some of the characteristics of the modern age. This interview line-up consists of Lvcifyre from London, Germany’s Dysangelium, Finland’s Slave’s Mask and Iceland’s glorious Svartidauð, while the Greek-born/London-based Macabre Omen kind of get double-billing with Alexandros Antoniou interviewed twice, both as a member of Macrabre Omen and as his project The One. 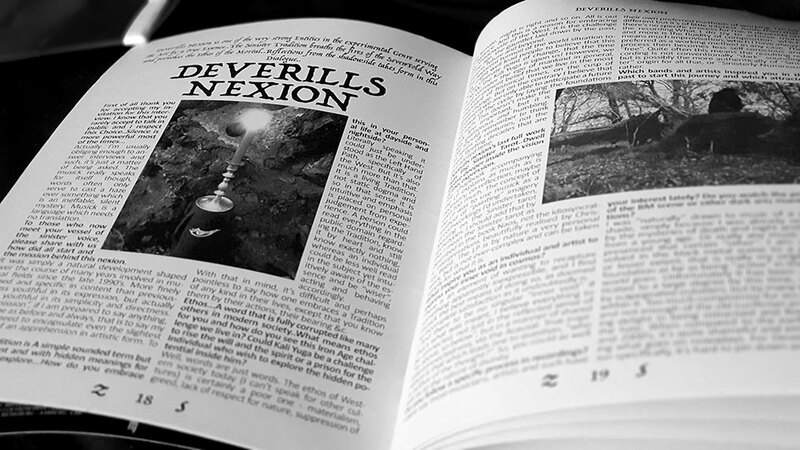 For the non-metal side of music, there’s an interview with Liesmaic of the delightful Deverills Nexion, which naturally sees some of those references to the ONA; and showing their roots in black metal, some de rigueur bemoaning of the genre’s current state compared to nineties glory days. The language in some of the interviews is what you would, perhaps unfairly, expect from black metal bands, a little vainglorious, a little pompous, all caught in the bind of having to say things without coming across as too enthusiastic or risk having the little masks of occult obscuration fall. 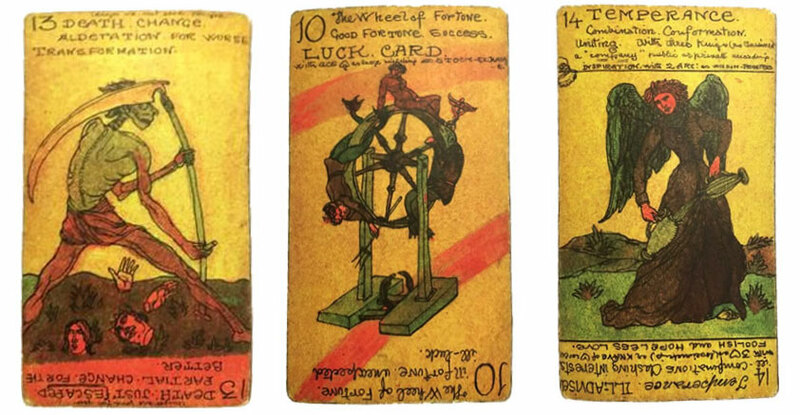 As a result, it’s something of a relief to take a break from the turgid prose with the first of the article contributions here, a piece on Voudon Gnostic oracular systems by Sean Woodward. This is a refreshingly well-written piece, though it does descend into a swamp of gematria words and values later on, which can make your eyes glaze over if you’re not that way inclined. The other articles in this issue are an exploration of the German poet Stefan George by Cornelius Waldner, and two pieces that one could describe as discussions of personal process. 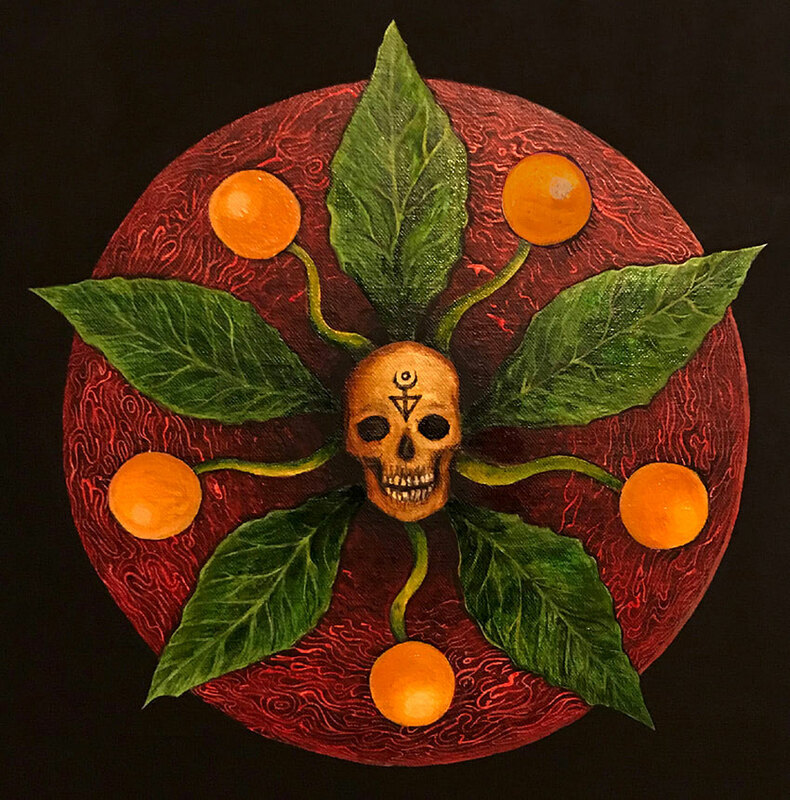 In the first, When Reason Fails, the Soul Speaks, painter and illustrator David S. Herrerías, who may be familiar for work in both occult publications and on metal albums (with a book forthcoming from Atramentous Press), gives thoughts on art as a magickal method and a way of connecting to and exploring the unconscious. Meanwhile, Multi Layeredness by Tay Köllner Willardar Xul-Lux considers just that, the idea of layers as a principle that can be applied to either magick, music, or any other form of art. In addition to the interviews with musicians, Zazen Sounds has interviews with Finnish record label The Sinister Flame, and with two Canadians, occult publishers and artists respectively. Gabriel McCaughry of Anathema Publishing talks largely about his exquisite publishing imprint (and a little about his black metal band Blight), while in the longest interview in the magazine at 13 pages, Chris Undirheimar of Blood and Fire Ritual Art covers, naturally, a variety of topics relating to his art, philosophy of life and working out. 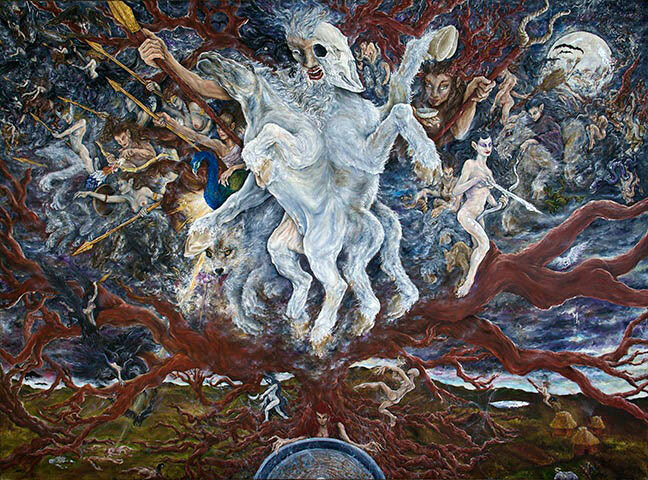 His rather spectacular painting Loki Thursakyndill also graces the cover and (in mirrored form) the back of this issue. The layout in Zazen Sounds doesn’t exactly make it conducive to reading, nor does it do the content justice. While titles and lead text are rendered nicely enough in an archaic serif face (all caps for the titles, italic for the lead), the body copy is crammed into fully justified, heavily-hyphenated columns of a monotonous and somewhat incongruous sans serif. Paragraphs are treated inconsistently, sometimes within the same section, and can have either a first line indent or no indent at all. Interviews suffer the worst as questions and answers sit snuggly next to each other, differentiated only by the bolding of the former, creating impenetrable walls of dense typographic colour. Also, some sections don’t end on their own page, and instead the remainder flows onto another page, making the following interview start up to a quarter of the way down. This contributes to everything feeling claustrophobic, and it doesn’t need to, as a little adjusting of the layout for more space, such as the removal of small or often redundant images, would have allowed things to breath. Then there’s a lack of attention to detail that sees a couple of images pixelated into illegibility, little to no proofing and editing on the contributions from non-native-English-speakers in particular, and one interview that accidentally repeats a page worth of questions and answers, woops. It’s a shame as this lack of rigour distracts from the content, and just a little polish would have helped live up to that noble aspiration of combining music, magic and art. Gabriel McCaughry’s (h)Auroræ could be considered an inadvisable tome to review here at Scriptus Recensera because attentive readers will note that your faithful reviewer has a proofing credit in the opening pages. In my defence, your honour, the proofing was for only a section of the work, and the finished book is so much more, appearing unfamiliar and unrecognisable from the raw and partial pure-text draught I worked with; unless that’s just due to a poor memory… I don’t remember. (h)Auroræ has an air of being McCaughry’s magnum opus, the sum result, from an aesthetic perspective, of all that he has done previously with his Anathema Publishing imprint. It’s gorgeously presented, intricately designed, with a poetic quality that is enigmatic and just a little bit impenetrable. At 304 pages and 5.25 x 8.5 inches dimensions, it feels substantial and weighty, the right size, texture and weight to convey a sense of significance and substance, fitting in your hands like a treasured tome, without being cumbersome. This aligns with statements McCaughry has made elsewhere, where he has talked of the magick inherent in books, and the profundity inherent in writing, producing and reading them. (h)Auroræ is divided into three main sections or books, the first of which reprises the (h)Auroræ title and is itself comprised of five codices; plus a long, circumlocutory introduction from Shani Oates. Each codex consists of short stanzas of poetry, formatted in a fairly large italic face and almost always accompanied with an illustration on the respective facing page. 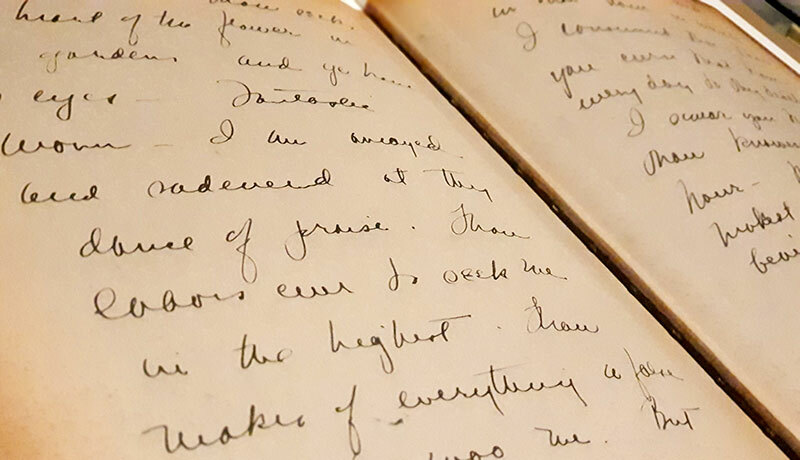 McCaughry’s style of verse is, one could charitably say, brisk, sometimes running to as little as four lines, with an economy of words that nevertheless draws from a clearly defined lexicon. 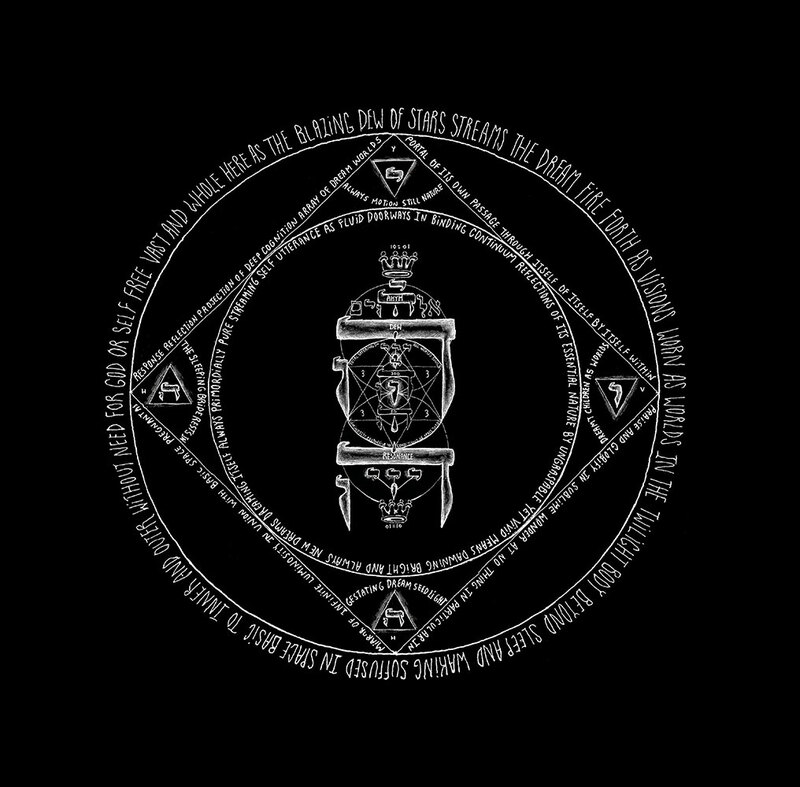 He declaims, rather than rhymes, using archaic turns of phrase and employing a wide array of imagery that references a variety of mythological and magickal sources, including Luciferianism, tantra, alchemy, the Ruba’iyat and Mandaeism. This cornucopia of culture and its recherché language choices makes for a somewhat abstruse encounter, where you can get a sense of what is being said, but like alchemical texts of old, you’re never sure if you’re quite getting it all. Book two of (h)Auroræ is titled Neoteric Heterodoxy and, for the most part, eschews the poetry format of its predecessor for a more discursive approach. 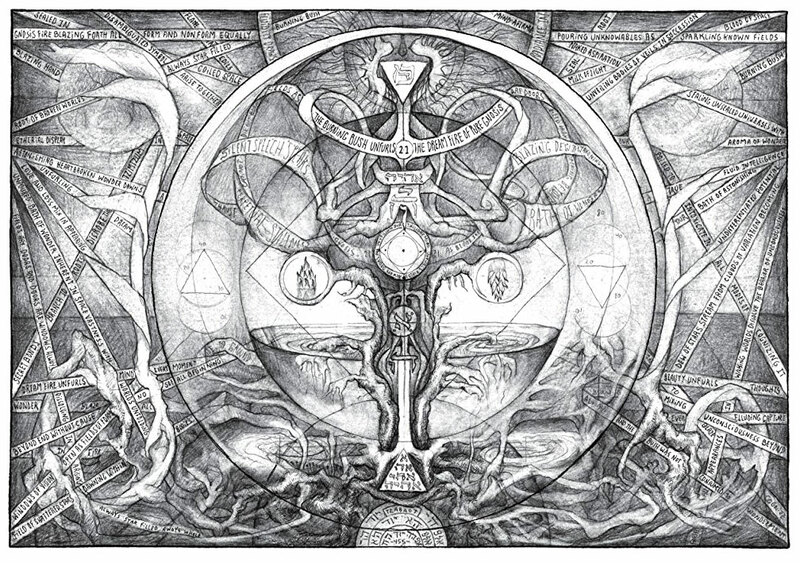 Here, divided into three sections, McCaughry discusses various aspects of magickal theory and growth, with considerations of Gnosticism, doubt and truth, as well as the various forces, constructs and entities in his conception of a magickal cosmology: Lucifer, the Temple of LUh-hUR, the UmbraPlasma, the Monolith, the Quartz of Return, the Omni-Cipher, the Demiurge and the PCR or Prism Concrete Reality. The third and final book of (h)Auroræ is called Anaphoras, Advent & Theurgia, and feels very much the conclusion, incorporating as it does various miscellanea and appendices. The lion’s share of this section takes the form of McCaughry’s account of the workings that form the basis of what is presented here, effectively his magickal diary fleshed out into a substantial narrative. 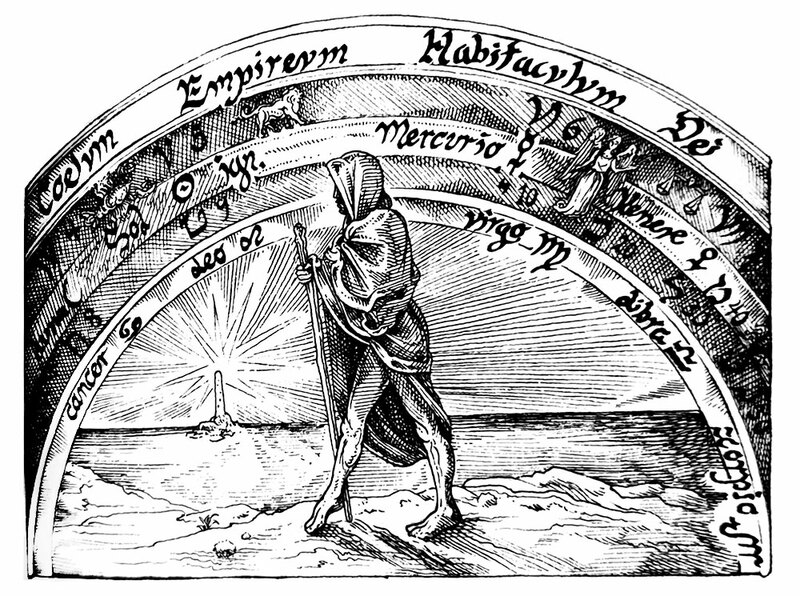 He does not provide much in the way of explicit, point-by-point instructions, instead advocating for the ability of an adept to find their own tools and techniques; and emphasising the status of (h)Auroræ as a book of mysticism, rather than magick, with all the ritual rigmarole that the latter might entail. With that said, McCaughry’s magickal record is detailed enough that should one wish to emulate it, there is much to draw from. 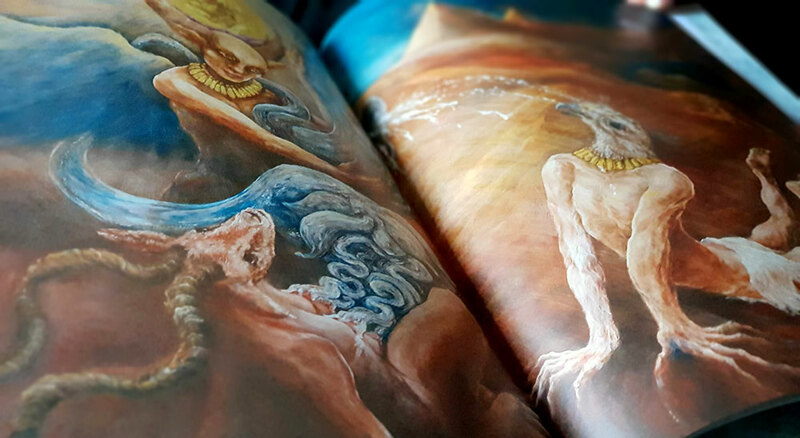 (h)Auroræ is profusely illustrated by José Gabriel Alegría Sabogal who almost deserves a co-author credit, such is both the impact and extent of his work. When almost every page within just the five codices of the (h)Auroræ section features an accompanying and presumably bespoke image, the amount of work is staggering; as is the cost, unless Sabogal severely undercharges for his work. There is an indefinable something about Sabogal’s illustrations, something that conveys an inherent sense of mystery and gnosis, but also somehow manages, with an apt turn of phrase, to keep silent. Sabogal employs fine ink lines in a timeless manner that apes the look of traditional engraving, something that is reflected in the subject matter, where classical sculptures and equally sculptured bodies abound. 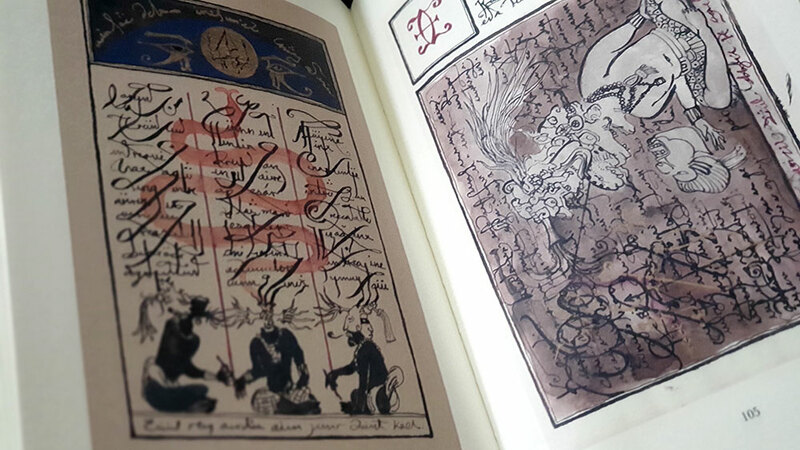 In some instances, the lines of fine black ink are highlighted with striking washes of red, filling in spaces in some examples, and splattering across the image as blood in others. Helpfully and fittingly, Sabogal speaks to his role in the book in The Birds That Speak At Dawn, his own chapter at the conclusion of (h)Auroræ. Here, he describes his and McCaughry’s shared creative journey, but also provides an explicit overview of the entire book, highlighting its passage of transmutation that begins with death and putrefaction and proceeds through four other alchemical stages symbolised by birds. Sabogal talks of dreams in which he discovers strange books filled with mysterious emblems, and thanks to his work here he may have created just such an oneiric tome. 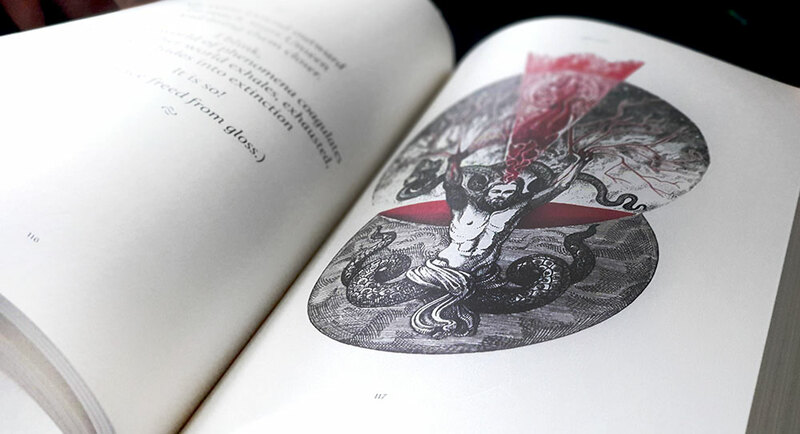 In addition to Sabogal’s illustrations, (h)Auroræ succeeds in matters aesthetical with McCaughry’s typesetting and layout, which compliments the graphic content and showcases the written. For anyone that has seen McCaughry’s hand in the layout of other Anathema publications, there will be much here that’s recognisable, with the return of some familiar treatments and typeface choices. McCaughry has an antique typographic style, especially noticeable in the frontispieces that synthesise a variety of faces, styles and sizes, all perfectly balanced in their hierarchy and not cluttered or messy. With that said, there’s no slavish beholding to archaisms here, but rather a classic timelessness that joins rarefied presentation with readability. 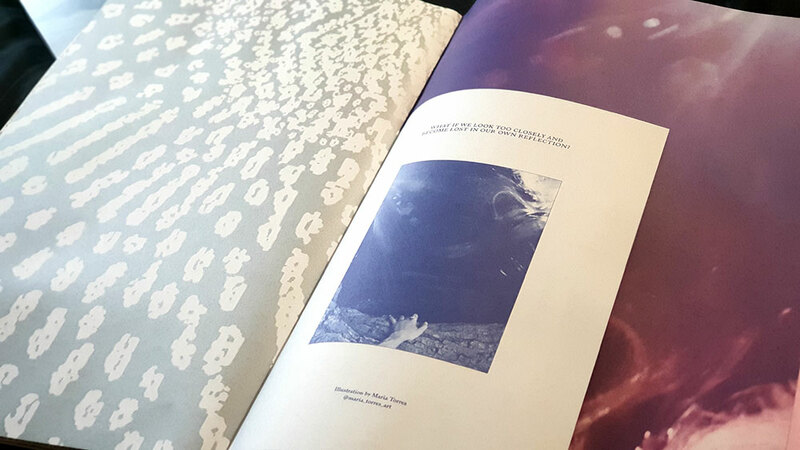 (h)Auroræ was made available in three editions: a standard edition of 500 individually hand-numbered copies, a collector’s edition of approximately 125 copies, and an eleven copy artisanal Spume of Luna edition. The standard hardcover edition of (h)Auroræ measures 5.25 x 8.5 inches, with 304 Cougar Natural 160M archive-quality paper pages bound in a lovely metal-flecked Italian Tele Legatoria Bronze bookbinding cloth. 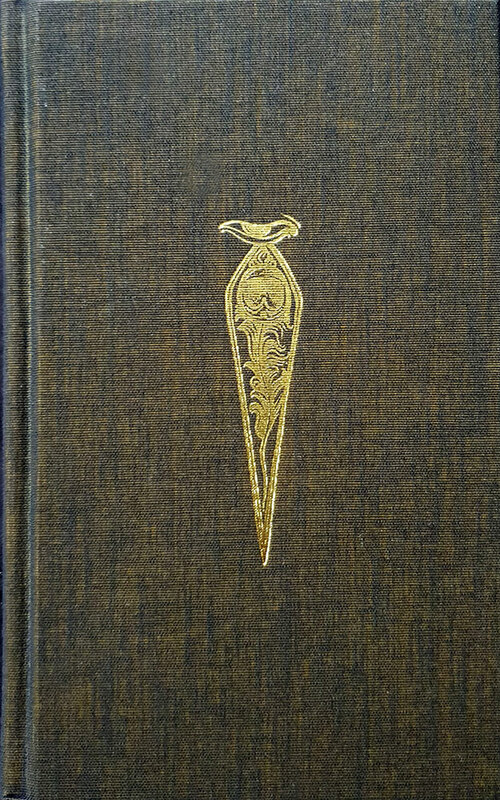 A design on the front is foiled in gold, as is the title and author on the spine. The collector’s edition is the same as the standard edition but bound in Eurobound Black Flanders (bonded leather), with gold foiling on the spine and a more complex design on the cover, incorporating blind-debossed elements. 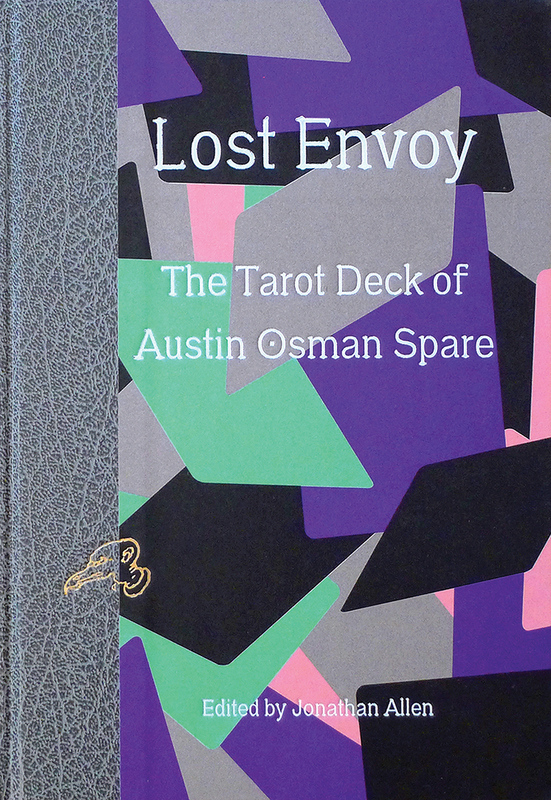 The eleven copy Spume of Luna edition, individually hand-numbered, signed and glyphed by the author, is three-quarter-bound in genuine Black Galuchat Ray rawhide, and white cow leather with gold foil blocking on the cover, and a blind-deboss on the back cover. 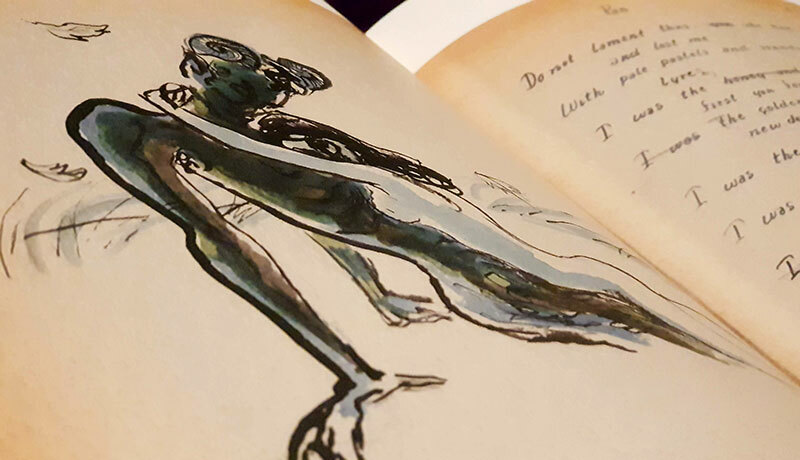 The interior features handmade endpapers, in addition to those used within the standard hardcover edition. David Chaim Smith, as his bio runs, is an author and artist based on Long Island, New York. He gained a BFA in drawing from Rhode Island School of Design and graduated from Columbia University with a Masters in 1989. 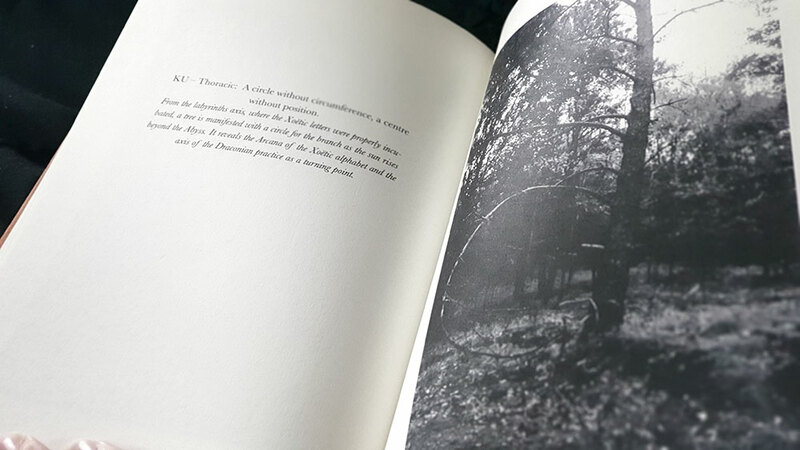 His principle medium is finely rendered and intensely detailed pencil, and that’s what you get here in this large-format book from Fulgur; his second with that press, following on from 2012’s The Sacrificial Universe. 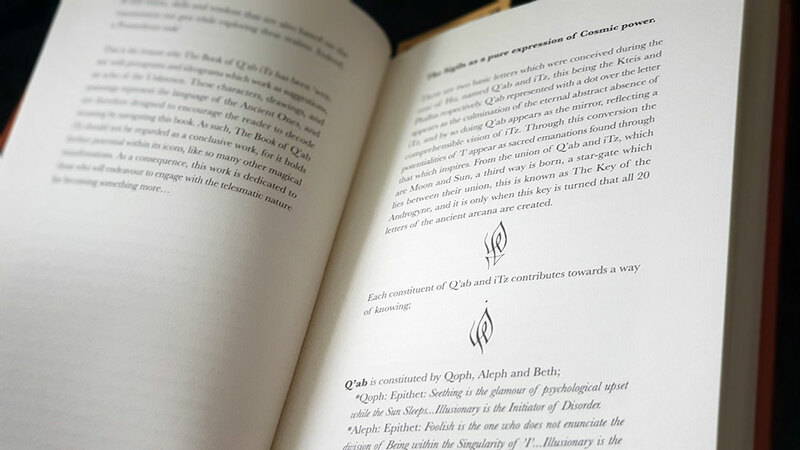 The Blazing Dew of Stars presents David Chaim Smith’s take on qabalah, otherwise seen in titles such as 2015’s The Kabbalistic Mirror of Genesis and 2016’s The Awakening Ground: A Guide to Contemplative Mysticism (both from Inner Traditions). 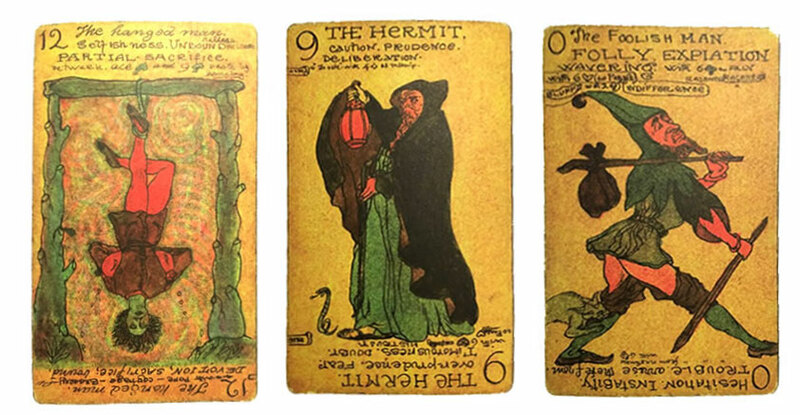 Where those books differ from The Blazing Dew of Stars is the focus on Chaim Smith’s artwork, often appearing here as full page plates, with adjunct smaller illustrations in the margins of facing pages. 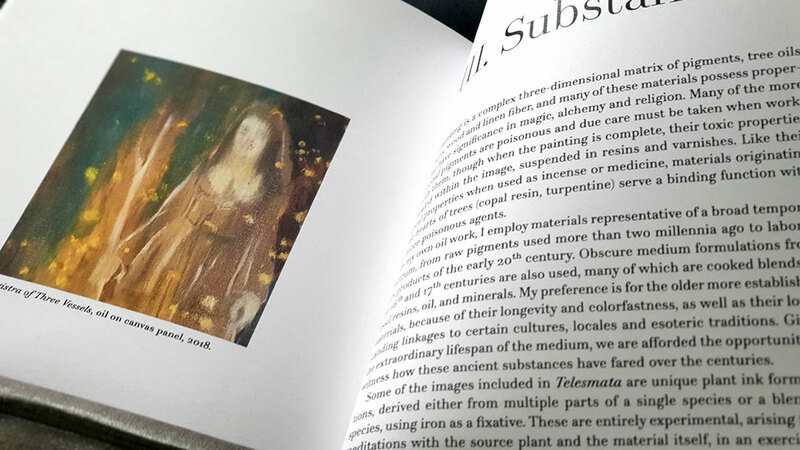 That doesn’t mean this book is without writing, in fact, it is quite text heavy, with Chaim Smith’s images appearing as adjuncts to his dense, periphrastic text. It’s just such text that forms the first, and image-free, chapter, Reaching Beyond God, 24 pages of circumlocutory writing with phrases like “systems that cultivate compassion mitigate the primitive reflexes of animal power that produce the psycho-emotive toxins of the human realm” or “Conceptuality can slowly learn to be able to abide within it, such that subtle abstract impressions can slowly take over, subsuming the momentum of perceptual formation into visionary registers.” As your eyes glaze over after page after page of this, you find yourself skipping forward, hoping to hit the pretty pictures sometime soon; the ligatures on the serif typeface are nice, though, if a little showy. Chaim Smith presents what he refers to as kabbalistic contemplative alchemy, a system he calls Iy’yun; a Hebrew word, sans the glottal stop, meaning ‘contemplation.’ Iy’yun is pursued, in this case in particular, through linguistic and graphic constructions, with its inner life creating resonating layers, revealed within the illustrations here, and it is this that distils the dew of the title; a gnostic realisation which accumulates with wonder, beauty and astonishment. Or so the blurb goes. This takes the form in a manner of ways: exegetical sections, more practical exercises in which Chaim Smith’s images are a meditative focus, and other exercises in which the illustrations are but representations of the concept in hand. The dense and theoretical first chapter opening The Blazing Dew of Stars is followed by one that reprises the title of the book as its own and is subtitled A Kavanah Meditation in Three Parts. This three part meditation is based on three chambers, each focussed on a divine name: AHYH, ALP LMD HY YVD MM, and YHVH/MTzPTz. 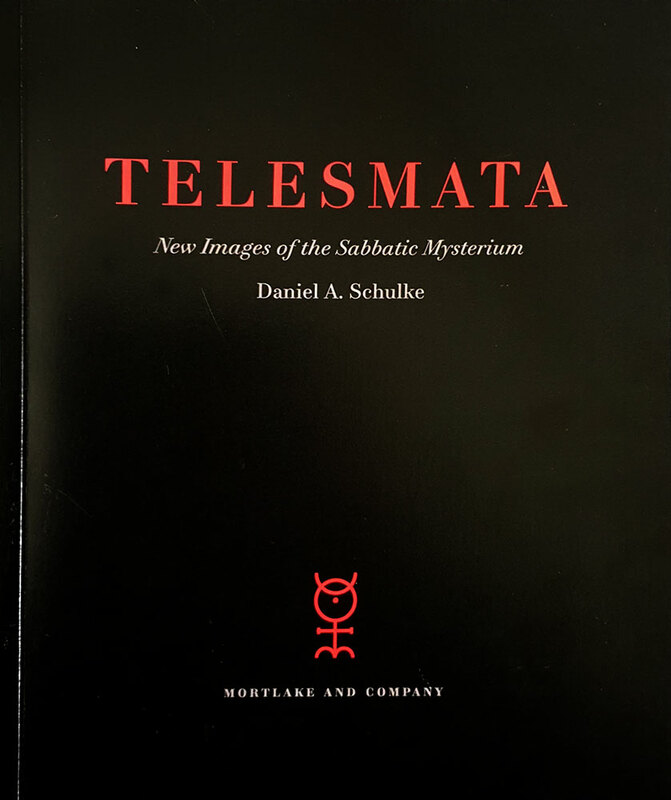 Chaim Smith provides a thorough exegesis on the metaphysics behind the procedure, in which the dew of contemplation is brought forth, the blaze is set alight, and the practitioner becomes a primordial mirror, a “liquid display of transelemental morphosis,” no less. This is then followed by the exercise itself, in which the various letters are visualised doing their thing, and which is, in turn, depicted graphically in Chaim Smith’s accompanying pencil illustration. 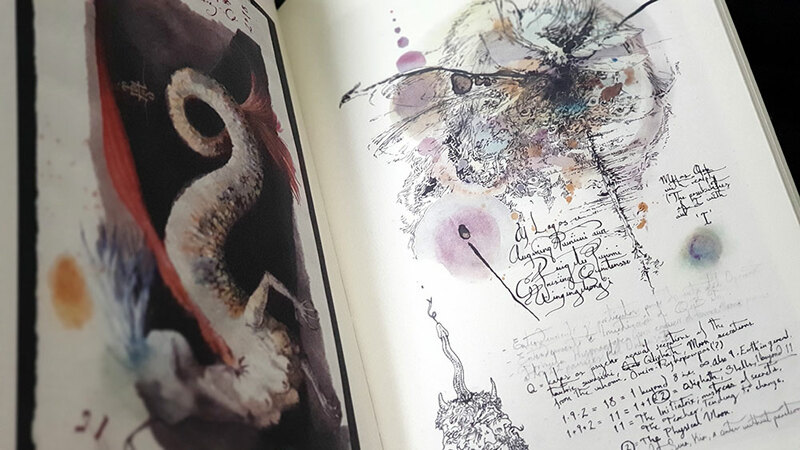 The third chapter, Unfurling the Dream Fire, is the book’s largest and most visually impressive section, in which Chaim Smith conveys ideas through four different methods: two textual and two graphical. 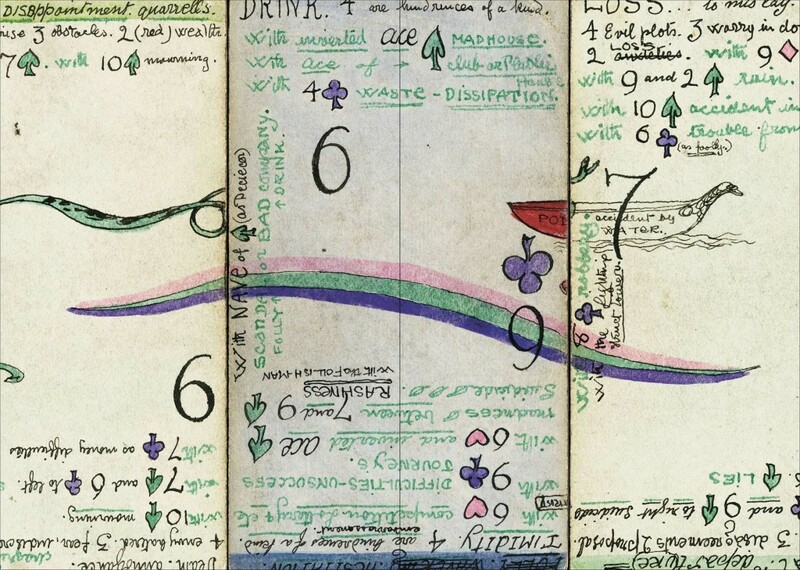 Each spread begins with a usually brief verse, set in a large italic face, and this is then expanded upon below it in the smaller text of technical notes, featuring definitions, correspondences, and numerological values. The ideas contained within the initial quote are distilled into small, relatively simple, seals that sit in the right margin of the right hand page of a spread, while the left page is taken up entirely by considerably more elaborate elucidations of the ideas as full page illustrations. The idea, says Chaim Smith, is that the contemplator is able to overlap and interpenetrate meaning using a variety of mental tools. The full page formatting of the images in Unfurling the Dream Fire allows them to be seen in all their glory, and execution. They are densely rendered almost entirely in just pencil; something that you don’t necessarily notice until you are viewing them at this size, where the smudged layers of graphite used for shading or as background can look murky and less impressive than at first glance. 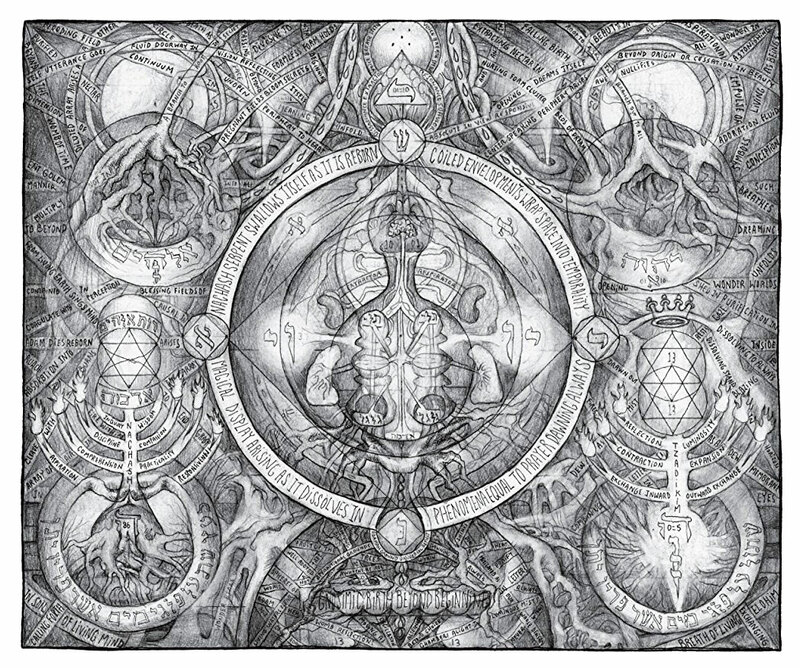 With his images featuring an abundance of alembics and other glass vessels, as well as the roots, trunks and branches of mystical trees, the most obvious comparison of Chaim Smith’s work are alchemical illustrations; notably those that accompany the work of fifteenth century alchemist George Ripley, such as the scroll that bears his name. There’s a persistent sense of growth and fluidity, of amrita dripping from receptacles and homunculi growing in cucurbits. All of the elements are contained within often circular borders, as well as boundaries created by text, often repeating the lines of the initial verse, or evoking key words. The same four-fold format is also followed in a later section, The Enthroning of the Blaze. 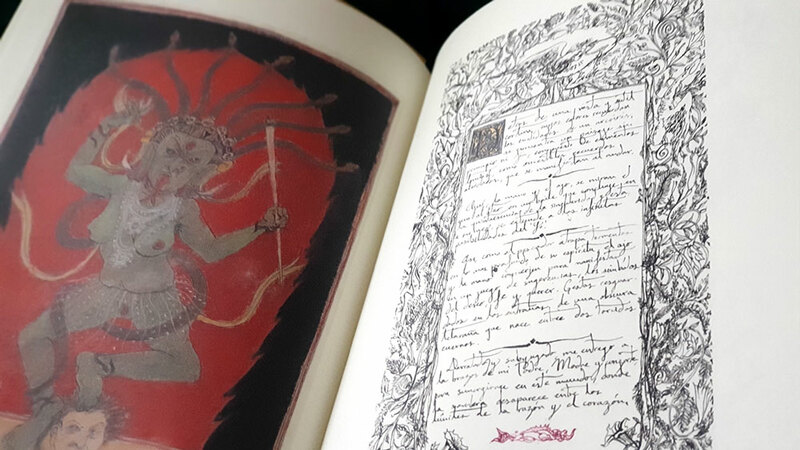 Several other sections follow Unfurling the Dream Fire, largely text based but accompanied with the occasional full-page image, including some instances where the illustrations are inverted, giving the impression of scratchboard or chalk on a black board. 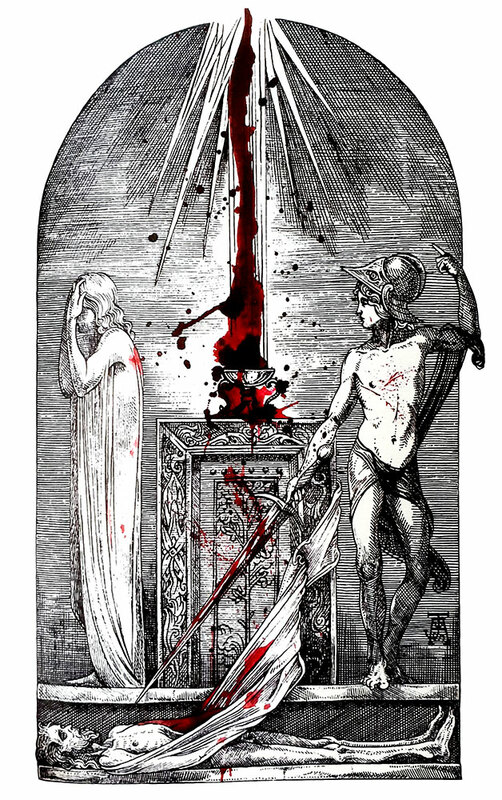 One of these, Dead Dreams Awaken the Sleeping Bride, is effectively a guided visualisation, heavy on exegesis within the journey text, accompanied by a single full-page illustration. Meanwhile, The Intoxicating Nectar of Vision, a received text of ten numbered verses that runs parallel to the creation narrative of the opening of Genesis, and which, naturally, follows the style and nomenclature of the rest of The Blazing Dew of Stars. 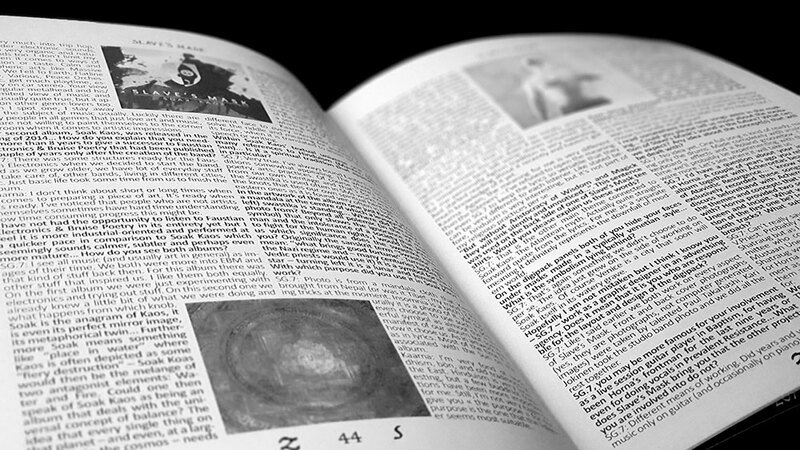 This is an argot full of words such as transcendence, perceptual matrices, resonances and magical continuums; all lexemes that in their disorientating concatenation are often teetering on the edge of a word salad abyss. 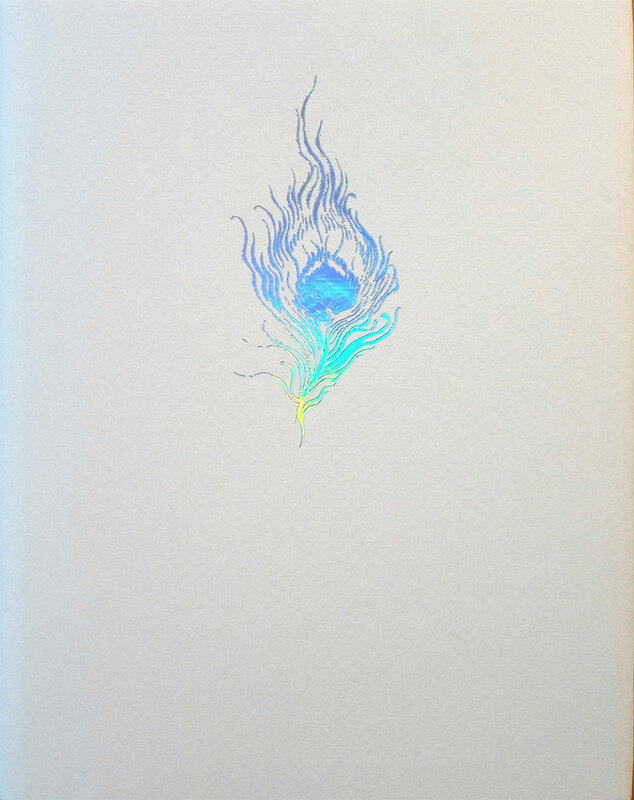 The regular edition of The Blazing Dew of Stars consists of 913 copies, measuring 27cm square with 138 pages in total, and 14 full page drawings, 29 seals and vignettes and a two-page folding plate of The Metacartograph, a large format, colour inverted illustration that acts as an “overview map of creativity in the manifestation of phenomena,” if you will. This edition is bound in black cloth, with a matte finish black dustjacket. The deluxe edition of 88 author-signed copies was bound by hand in full black morocco with special tooling in silver gilt, blind pressed and silver filled front panel embellishment. 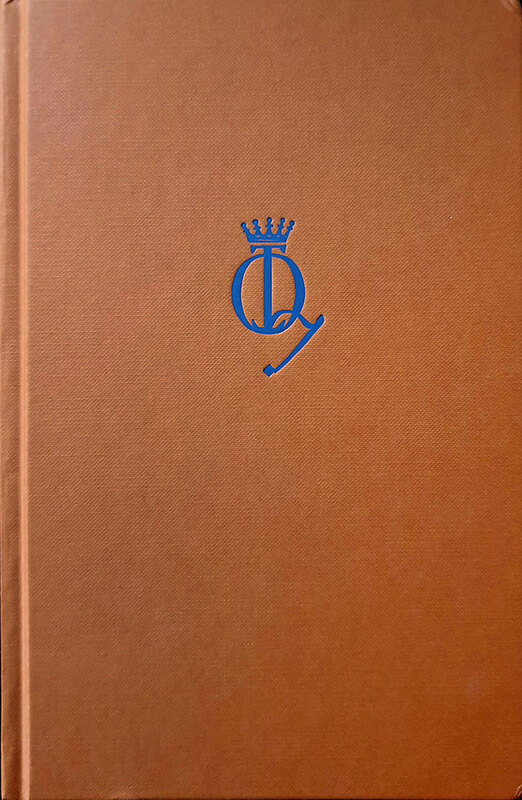 It included the dust jacket of the standard edition but was housed in a special lined slipcase of premium black cloth. 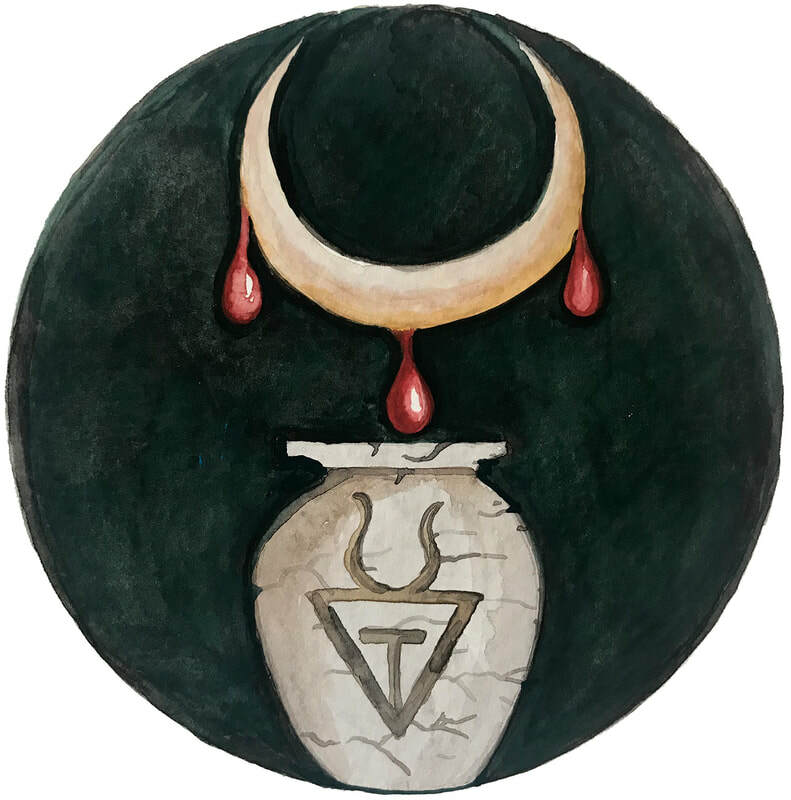 We stray a little from the usual matters magickal with this review of the first issue of Punctum Book’s journal of black metal theory. 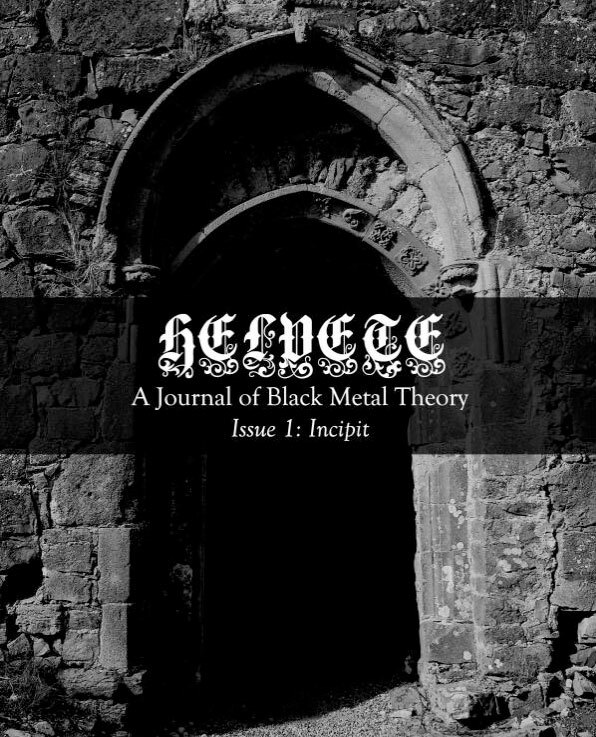 Helvete is a collection that is, to my surprise, no means unique, with academic interest in black metal having previously found expression in several iterations of the Black Metal Theory Symposium, with those contributions anthologised in publications such as Hideous Gnosis and more recently Mors Mystica. Black metal must surely be unique amongst all of metal’s subgenres in attracting this kind of academic attention, and to some extent this is understandable with black metal’s caché of cool, or at the very least its memeability; were such a word real. No one, as far as I am aware, is out there writing academic theses on grindcore, or even comparable subgenres, in terms of longevity and quantity, like death or doom metal; which is a shame. Given the wealth of material already, erm, symposiumed and published, one would assume that the entry level, what-is-black-metal type discussions in this field would have been published long ago, if at all, and that is indeed the case here, with contributors exploring rather specialised areas of black metal’s topography. With that said, the first contribution, Janet Silk’s Open a Vein, does contextualise her discussion of suicide and black metal by setting the scene with the suicide of Mayhem’s Per ‘Dead’ Ohlin, a moment she describes as the birth of black metal (an urbane albeit arguable and problematic claim). 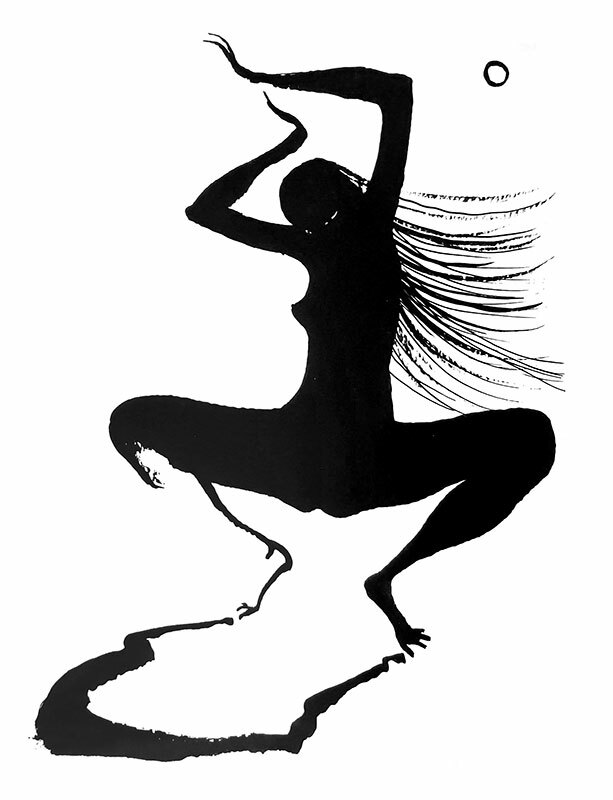 Silk prefaces much of her consideration of depressive suicidal black metal (which she atypically abbreviates as the less recognisable SBM) with a survey of suicide in philosophy, religion, and other cultures, touching on Mishima and the death-drive of early Christian martyrs and Islamic šuhada. She does this in a slightly unnervingly amoral way, with what can be read at the very least as an admirable detachment with no moral judgement cast, and perhaps at worst, as a tacit approval of, or admiration for, suicide’s destructive and nihilistic impulses. I, in turn, make no moral judgement on this editorial choice and just reiterate the disconcerting feeling that inescapably arises when reading content that seems to sensibly suggest suicide is a good option. When DSBM is then considered within this context, its themes and motivations are validated as part of this greater milieu and given gravitas and import, rather than dismissed as mere posturing or angst. Silk’s main touchstone here, other than Dead, is Sweden’s Shining, and Denmark’s cheerfully named Make a Change… Kill Yourself, so it is by no means a broad survey of the sub-subgenre that is DSBM. Even if it wasn’t intended as such, it feels like some areas have been missed: the suicide of Dissection’s Jon Nödtveidt and how the anticosmic philosophies of the Temple of the Black Light compare to the nihilism of the musicians that Silk does document; or the isolation that is inherent in so many DSBM acts being solo projects by secluded, socially-awkward multi-instrumentalists. The esteemed Timothy Morton finds a good springboard for his talk of hyperobjects and dank ecology in Wolves in the Throne Room, whose status as arch conservationists provides the basis for much of his musings. 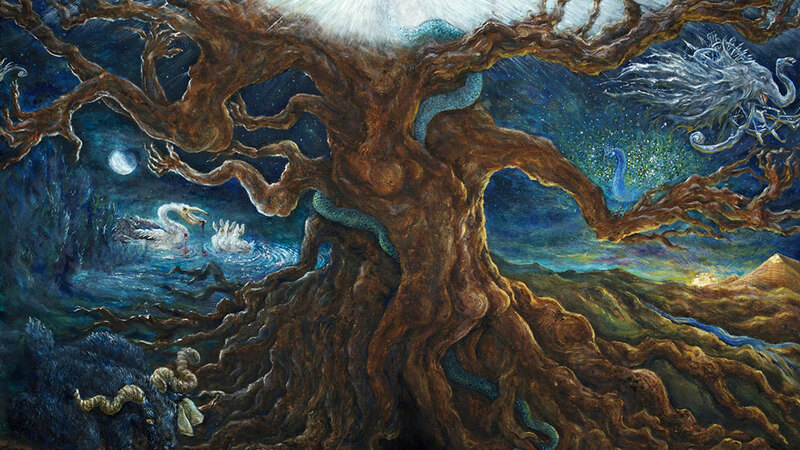 Despite being the Rita Shea Guffey Chair in English at Rice University, Morton’s paean to Wolves in the Throne Room feels more like a creative writing exercise, or the worst kind of music review in the world. You know the kind? The kind that describes the scenes that the music paints in the reviewer’s mind, rather than just saying what it sounds like. Do you know what is also annoying? All the questions. What’s the deal with that? Morton jumps around like he’s over-caffeinated, pre-empting all his conclusions with questions to the mute audience. When are we? Where are we? Why a pool of death? Why indeed. This works well when it is used initially for musings on the open-ended ambiguity of the band name (whose throne room, who are the wolves, are they welcomed, or invaders, or are they the original occupants? ), but when page after page is peppered with not-rhetorical-but-sounding-rhetorical questions, it begins to grate. In the end, the questions, and indeed the wolves in this here room for a throne, tend to fade in favour of what comes across as talking points from Morten’s previous and voluminous discussions of a dark ecology without nature, barely tethered to the discussion of the band. The most enjoyable contribution here comes from David Prescott-Steed with Frostbite on My Feet: Representations of Walking in Black Metal Visual Culture. Perhaps this is because it is a meditation on something so simple, and yet so quintessentially, but not obviously, black metal. After all, who can imagine a black metal musician in a car? Inconceivable.¹ Prescott-Steed explores the theme of walking from multiple angles, including the personal, where he talks of the experience of ‘blackened walking,’ his term for walking around the modern metropolis that is an Australian city, but listening to a headphone soundtrack of frosty cuts from Burzum, Gorgoroth and Mayhem. He incorporates Rey Chow’s analysis of the cultural politics of portable music into this, exploring the themes of incongruity and of the act of disappearing that is inherent in removing an awareness of one’s environs by imposing a personal soundtrack; a theme that, though Prescott-Steed doesn’t dwell on it, feeds back into black metal’s tortured relationship between the over and underground, between fame and infamy, elitism and the recherché. Daniel Lukes’ Black Metal Machine is a survey of the industrial strain of black metal; cleverly acronymed as IBM. He begins with an extensive grounding in methodology and context, namechecking Deleuze and providing several literary precedents (Ballard and Vonnegut) that emphasise the dystopian, post-apocalyptic vision of the future, rather than a shiny chrome utopia. This he relates to the misanthropy of black metal, where the science fiction-tinged desolation of the future is but a slight twist of a standard black metal narrative of destruction and contempt for the world. As examples, Lukes considers Red Harvest (who get several pages devoted to them), Dødheimsgard, Arcturus and Spektr, while also briefly touching on Marduk as well as Impaled Nazarene’s themes of a comic and perverse Armageddon. Joel Cotterell concludes this volume with a brief consideration of the motif of the dawn in black metal, using tracks from Primordial, Satyricon, Inquisition and Nazxul as exemplars. Cotterell argues that the concept of dawn in black metal has a Luciferian component, denoting the rise of Lucifer as the morning star. Whether this interpretation of a less than rosy fingered dawn can be consistently applied to the over 400 songs that they found on metalarchives.com with dawn in the title is not addressed. 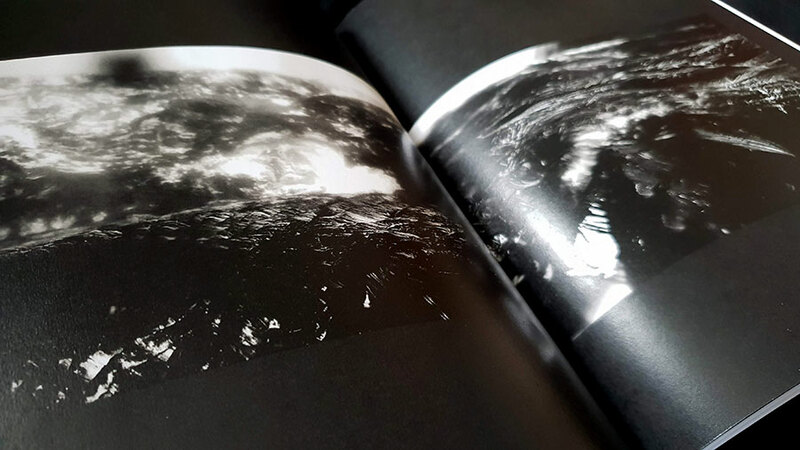 In addition to the written component, Helvete contains a section of black and white photographic plates curated by Amelia Ishmael and titled The night is no longer dead, it has a life of its own. The nine artists attempt to evoke black metal visually with an emphasis on obfuscation through texture, meaning that there’s nothing too obviously black metal here, with only two densely rendered black ink forms (care of Allen Linder, see above) and one foggy landscape. Some of these are more successful than others, with the gems being Gast Bouschet and Nadine Hilbert’s images of Grímsvötn in Iceland, darkened to the point of abstraction but animated with emanations of effusive light. There are some persistent little quirks about this book that irritate and makes you wonder how, in the parlance of the genre, ‘true’™ it is. Norway looms large within the pages and it is referred to by multiple authors as the home of black metal; not second wave black metal but apparently black metal in general. In another case, black metal is referred to as being “for the most part, exclusively Western” with the gracious caveat that it has since inspired international contributions in the last twenty years (Colombia and Taiwan being presented as the examples of amazing outliers). This overlooks the non-Western bands, most notably from South America and Asia, that thirty and more years ago were contributing to and influencing black metal. That this point of Western-ness is made in attempt to prioritise Scandinavian aesthetics as the aesthetics of black metal seems indicative of the tendency to fetishize the Norwegian strain of black metal above all else; implicit in the journal title. And it is the specifically Norwegian variant, there’s even little acknowledgement of what emerged from Sweden and Finland at the same time, perhaps because it never produced those memeable moments like a Varg Vikerness smirk or Abbath’s gurning visage. 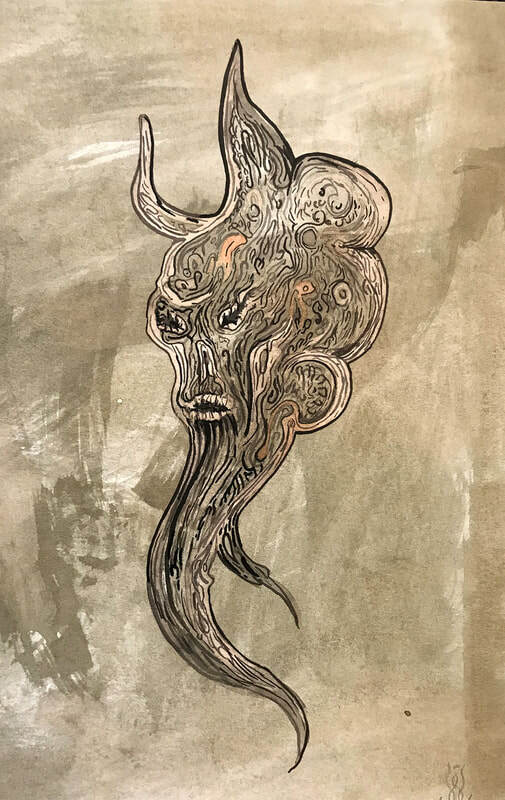 In all, the debut volume of Helvete makes for a brisk read with its 100 pages, but does whet the appetite for more of this here black metal theory. ¹ The image of Snorre Ruch and Vikerness driving from Bergen to Oslo on the night of 10 August 1993 has always seemed wildly incongruous to me.